The Mitsubishi SRK25ZS-WB is rated 2.5kw, and is capable of providing heating, cooling and dehumidification to rooms up to 25 square meters in size. This specific unit would be most ideal for master bedrooms or small offices. 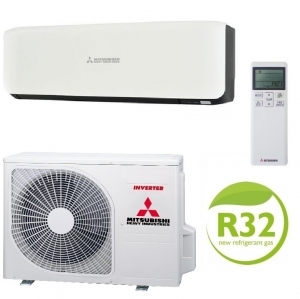 These units feature a deodorising filter, as well as an allergen clear filter against pollen and dust mites. They also include a 3D auto swing function, to supply you with a more superior airflow. For more information, please look at the manufacturer’s brochure below.